Sweet. Simple. 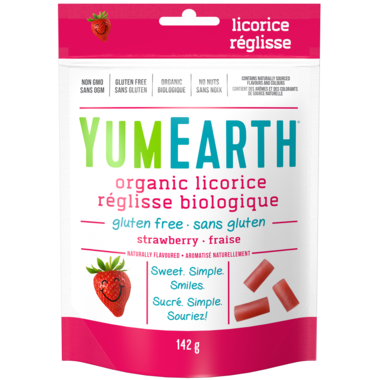 Naturally flavoured Strawberry Licorice. It's not just good, it's Berry good and you can feel good about this sweet treat too. 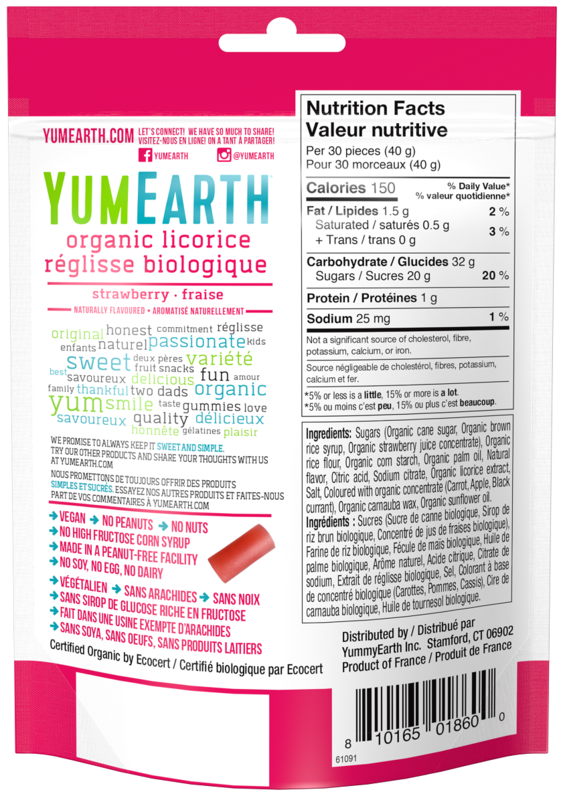 It's Certified Organic, Non-GMO, gluten free licorice that actually tastes amazing! The BEST licorice ever! Natural ingredients and none of that nasty sugar aftertaste. Itâ€™s hard to find a gluten free licorice . This is a nice treat. So yummy!! These are so good! Hard to stop at a few & great for taking to the movies!!! Love these! Was not impressed. Flavour was weak, and the pieces were very hard! Not a nice chewy texture like licorice should be. It is nice to find a gluten free licorace, previously I had to order it from the states. The only thing is that the strawberry flavour is good, but the pomegranate flavour is amazing. I wish well.ca would start carrying that flavour. Not impressed... minimal to no flavour. The black licorice by this brand is great. This is not. Skip it !! This is my absolute favourite! I hope they start selling the peach and pomegranate flavours soon. So good! Gluten free licorice is so hard to find. What a treat!